The former auditor of the collapsed cake chain Patisserie Valerie has argued that it is not the role of accountants to uncover fraud. Grant Thornton is under investigation for its audits of the chain that collapsed into administration earlier this month following the discovery of a £40m black hole in its accounts. Patisserie Valerie’s former finance director has been arrested on suspicion of fraud. David Dunckley, chief executive of Grant Thornton, which was replaced by RSM as the chain’s auditor in mid-January, told MPs on the business, energy and industrial strategy committee that there was an “expectation gap” that “needs to be fixed”. I have chosen to highlight the last sentence, but please feel free to note the rest. The point is simple. 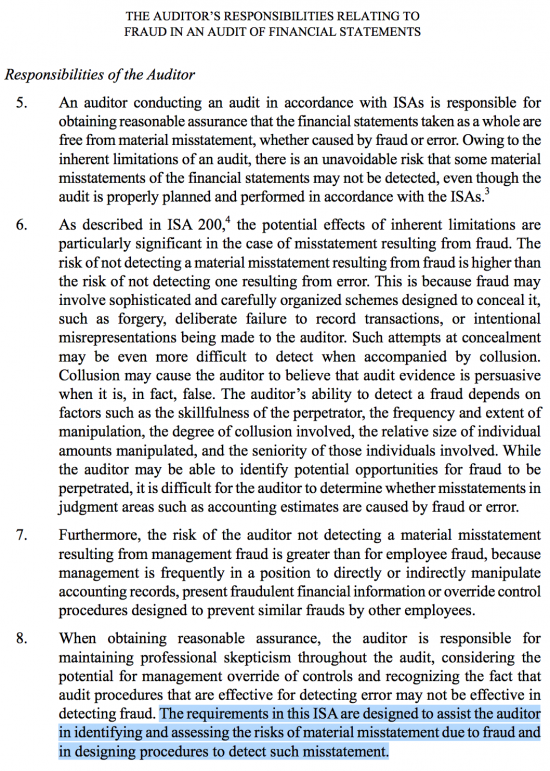 If Dunckley is right then ISA 240 is wrong to say the auditor has a duty to detect misstatement by fraud. But they do say that. So it's Dunckley who is wrong. So, the auditor does have a forward looking duty. I think Mr Dunckley just dug a great big hole and jumped right into it. I particularly like the statement “we’re not giving a statement that the accounts are correct”! If that were true you might reasonably ask what the point of doing audits is. 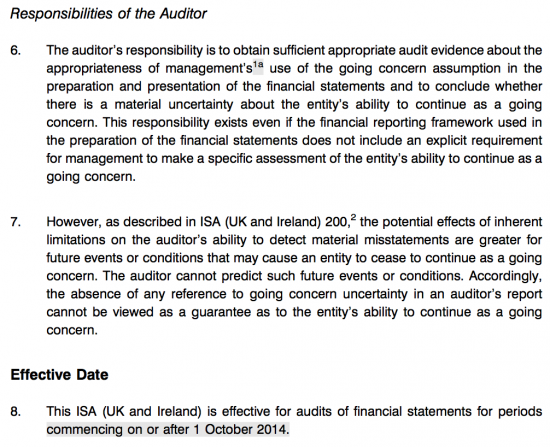 Whilst being no friend to the audit profession I think you are being unduly critical in this instance. It is easy to apportion fault in hindsight. 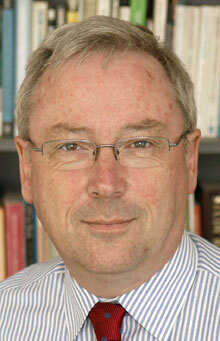 The standard does admit that it is harder to detect serious misstatement in the case of fraudulent behaviour of management in no small way because Finance Directors and Management Accountants are by and large all former auditors and know the rules of the game and how to get around them. 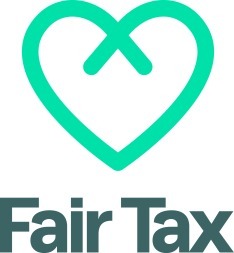 It is easy for them to game the system and to come up with plausible reasons for accounting entries to the auditors who are less experienced in managing businesses and more willing to accept the answers given by a Finance Director of a big company. I am sure you will say this is no excuse for lapses in professional competence and that is true but this is the reality. If people want to engage in criminal behavior they will and policing it is difficult and would require a change in auditors role if they are to become financial policemen. says at Para 1116, with reference to Grant Thornton: Negligence takes many forms, as does audit negligence, but this was negligent conduct of the highest order (short of recklessness) amounting to flagrant breach of professional standards. Para 1189: GT’s (admitted) failings, as identified above, were very serious, indeed flagrant, breaches of duty and importantly they went to the ‘very thing’ it was responsible for as auditor. Those breaches of duty included a failure to exercise proper scepticism which would have led to the detection of dishonesty and prevention of fraud including representations and assumptions made by Management during the course of the Audit. So even Judges believe they should be looking for Fraud.